Graebert ARES Commander Edition 2018 v18.3.1.4063 | Gamerzplanet - For All Your Online Gaming Needs! Experience the flexibility of ARES Commander Edition, the powerful CAD software for day-to-day work as well as complex projects. Leverage the productive tools and intelligent features for drafting and design that you have come to expect from top CAD products, at a significant cost savings. Create 3D objects using the ACIS® 3D Solid Modeler which is tightly integrated within the software. 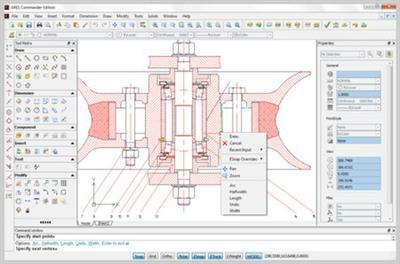 ARES Commander is DWG-compatible and is easy to use within your existing CAD environments.